It seriously couldn’t be easier to make extra money these days. And since just about everyone has a smartphone, we all have the opportunity to download money making apps to bring in a little extra cash wherever you are. Side hustles are all the rage these days, but honestly, some of us just don’t have time. Between full-time jobs and families to take care of, many of us are looking for something we can easily do in our downtime. 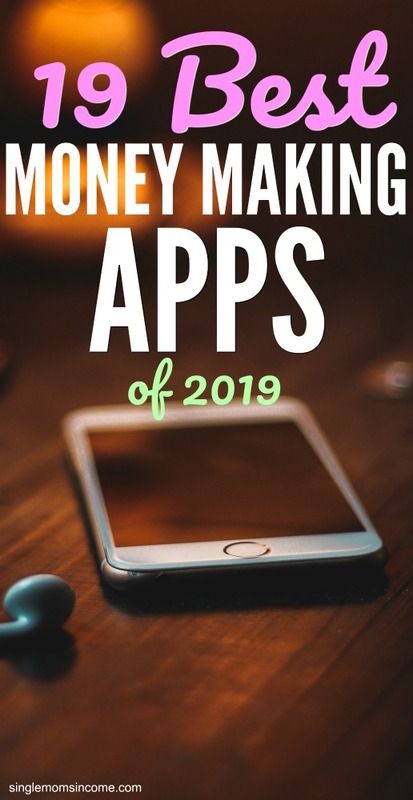 These money making apps provide the perfect opportunity for a little extra money, without taking up a ton of your time! Swagbucks allows you to make money by doing a lot more than just taking surveys! This app allows you to collect “SB” points, which you’ll then redeem for cash or gift cards to popular retailers. SB points can be earned by taking surveys, sure. But you can also earn them by watching videos, searching the web, playing games, or shopping online. Plus, like many of the other survey apps, Swagbucks has a $5 signup bonus. InboxDollars is another survey app that allows you to make money from your phone. You can make money by opening emails they send to your inbox (thus the name InboxDollars), as well as taking surveys in the app. You can also make money by watching videos. And once you hit $30 in your account, you can cash out. Plus, they have a $5 signup bonus, so you’re starting out with a little something in your account! My Points is one of many survey apps that connects users with market research surveys from other sites. When you sign on to take a survey, MyPoints will search for surveys you might be eligible for. Once you’ve racked up enough earnings, you can be paid out with gift cards to popular stores such as Amazon and Starbucks. MyPoints also has a signup bonus where you earn $5 after taking your first 5 surveys. Shopkick is an app that pays you to shop without actually requiring that you buy anything. Sure, you can earn points by making purchases. But you can also earn points by visiting a store, scanning barcodes, or browsing products online. Points, otherwise known as “kicks”, earned through Shopkick can be redeemed for gift cards to your favorite retailers. Ibotta is without a doubt one of the most popular cash-back apps out there. You’ll earn money on purchases you’ve already made, simply by uploading a picture of your receipt. Ibotta is similar to using a coupon, except you’re using it after you’ve already made your purchase. You’ll choose your retailer, and see what cash-back deals they currently have. For example, you might earn $.25 by purchasing a certain type of produce, or up to $1 for certain toiletries like toothpaste. One of the perks of Ibotta over traditional coupons is that they’ll often let you redeem for generic brands, as opposed to only the more expensive name brands. Once you hit $20 in your account, you can cash out via PayPal or Venmo, or opt for a gift card to a retailer of your choice. Ebates is a free website and app that allows you to earn cash back on your purchases. When you use it online, you’ll get a certain percent cash back by either finding the retailer through the Ebates or website, or by activating Ebates through a browser extension. 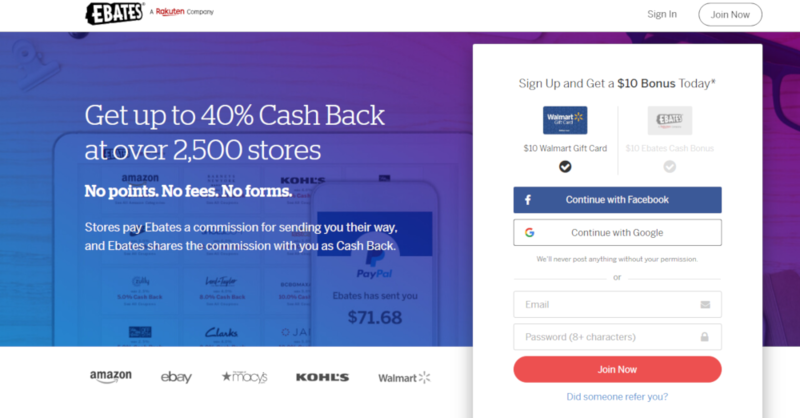 However, Ebates expanded by creating an app that allows you to find coupons and discounts, and earn cash back on purchases both online and in the store. With very little extra work Ebates automatically cashes out every quarter, and you can earn a decent chunk of money throughout the year. Dosh is an app that connects to your credit or debit cards and automatically pays you cash back for spending money at certain retailers and restaurants. Once you’ve set up your cards, you don’t need to do anything else to earn money. And it’s a lot of fun when you grab dinner at a restaurant you didn’t realize was on Dosh, only to get a notification later that you’ve earned a few dollars cash back from your dinner! Once you’ve reached a minimum of $25 in your account, you can cash you via PayPal or direct deposit. Rather than go through the effort of putting together a garage sale, Letgo is an online marketplace app that allows you to post your items for sale. Letgo is meant to be used for local sales, meaning you’ll connect with buyers online and meet them in a public place to exchange the item. You probably already have the Facebook app on your phone for personal use, but did you know you can also use it to make extra money? 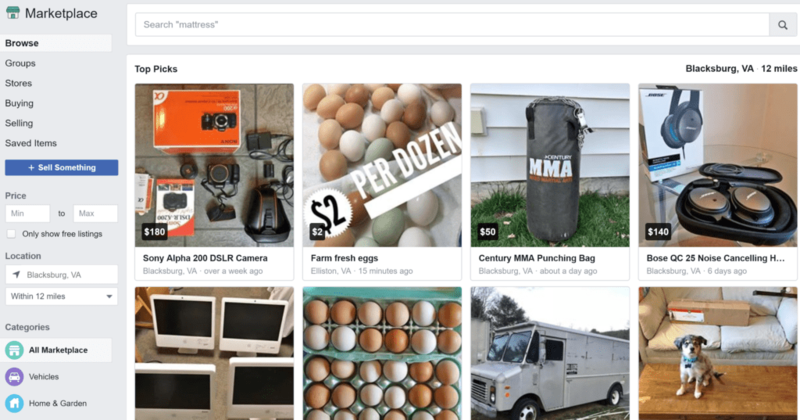 Facebook has a marketplace where you can list items for sale, and connect with others in your area who are interested in buying. The Facebook Marketplace works similarly to Letgo, in that you connect with people on the app and then meet up with them in person. But the benefit of using the Facebook app is that you can see ahead of time who it is you’re actually selling to. This provides an extra element of safety. If you have clothes in your closet that you’re no longer using, you need to download Poshmark. 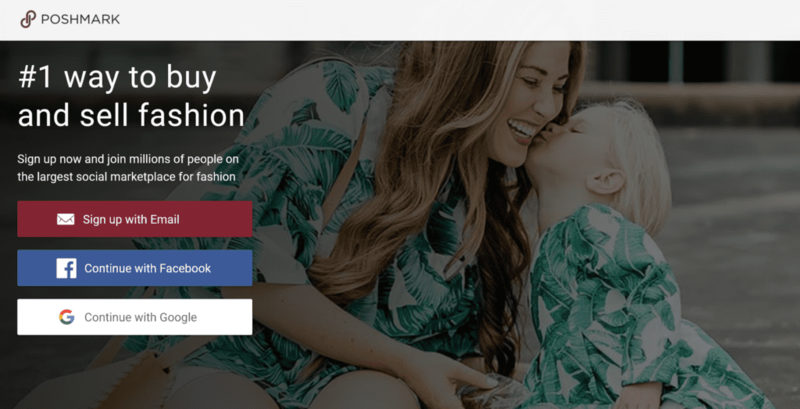 You can upload photos of your new or lightly used clothing, and people on the app will purchase them. Then all you have to do is ship them to the buyer. By taking great photos and pricing your items appropriately, you can really make some decent money. There are even people who have turned Poshmark into a full-time job by purchased using clothing at thrift stores and reselling on Poshmark. If you’ve got an extra room in our home, or even an extra home you aren’t using, you can make money from it by renting it out on Airbnb. Many travelers these days opt for Airbnb because they can find a more affordable and more personalized experience than staying in a hotel. It’s ideal for travelers because they get to stay in a more inviting space that is equipped with all the necessities, including a kitchen. If you have extra space available, this is a great way for you to make some extra money. This can be especially lucrative if you live in an area with a lot of tourist traffic. Just make sure you take great pictures of the space and find some small touches to set your space apart from others. Here’s an in-depth Airbnb hosting guide that’ll help you make the most of this side gig. If you have a car that you aren’t using every day, you can list it on Turo to make a bit of extra money. All you do is list your car with some great photos, and people can rent it for a certain day (or days). You can accept or decline each trip as it’s booked. Then you’ll meet up with them on the day of to check their license, and send them off. Turo covers your car with up to $1 million in liability insurance, damage and theft coverage, and roadside assistance. If you’re starting a weight-loss journey and need a little extra motivation, DietBet is for you. This app will literally pay you to lose weight. DietBet allows you to create or join a group to participate in a weight-loss challenge. The group agrees on a goal (for example, to lose a certain percentage of their body weight in four weeks). You pay in to participate. At the end of the four weeks, everyone who has met the group’s goal gets to split the pot. The chance of winning money is a great motivation to stay on top of your goals! This app connects to your phone’s health app and allows you to earn points for healthy activities such as exercise, meditating, and logging your meals. Every 10,000 points allows you to cash out for $10, which can either be deposited to you, or donated directly to a charity. Not only are you improving your own health and bank account by using Achievement, but you can also contribute to medical studies. The app allows you to participate in programs that share data with scientists for medical research. 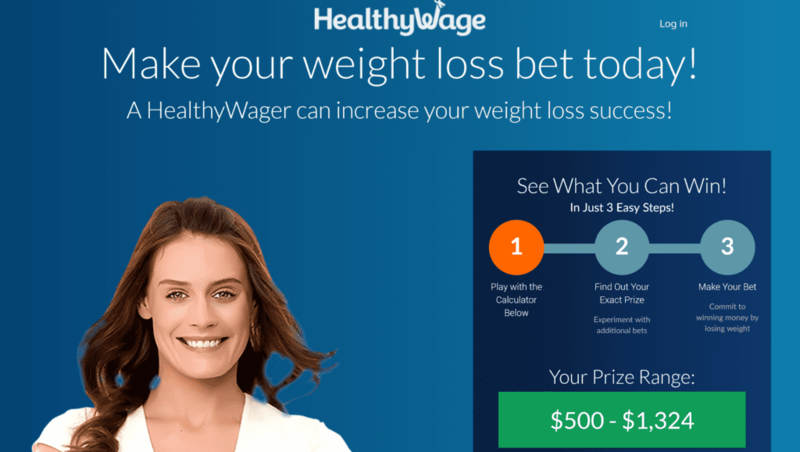 HealthyWage is another app that pays out if you achieve certain health and fitness goals. Some of the challenges push you to lose a certain percentage of your body weight, while others challenge you to increase the number of steps you take in a day. HealthyWage has a section for corporate challenges, where employers can create a challenge for their employees to join and earn money for meeting their health goals, with prizes of up to $10,000. You can sign up for HealthyWage here. If you’re an animal lover, then Rover is the perfect money making app for you! 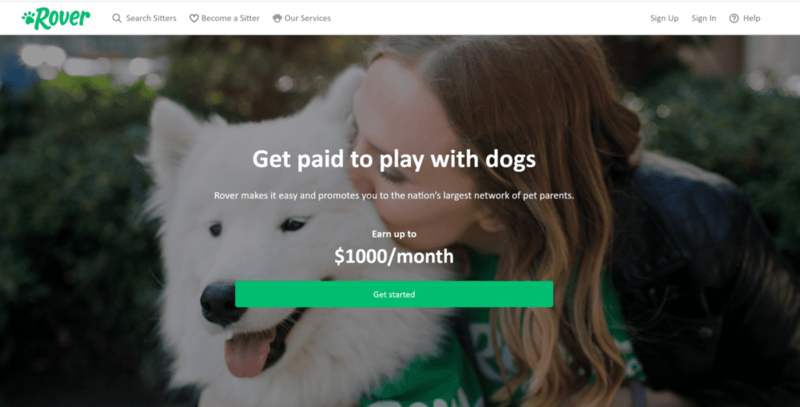 Rover is a service that connects pet owners with dog walkers and sitters. Some jobs will last several days while a pet owner is out of town. For those gigs, you can make $25-$100 per night. Other pet owners might just need someone to walk their dog for 30 minutes while they’re at work. For those jobs, you can make somewhere between $10 and $30. If you’re crazy about dogs, this one won’t even feel like work! Ridesharing services have become super popular and are quickly replacing traditional taxi services. You can take advantage of this trend and make money by becoming an Uber or Lyft driver. Uber and Lyft are great side hustles that can allow you to earn money in your free time. There are even people who do it as a full-time job! You can really maximize the amount of money you’re making by driving during the most lucrative times, such as Friday and Saturday nights or during special events in your city. I’ve also heard of plenty of drivers who use both Uber and Lyft to increase their chances of finding riders. If driving people around doesn’t sound like your thing, you can still make money with your car by delivering food through Uber Eats. You can sign into the app whenever you’re free, pick up someone’s food order, and deliver it to their home. Depending on where you live, you can deliver food using your car, bike, scooter, etc. I’ve even talked to people who just sign onto the app on their commute home from work and make one delivery before heading home. They make a little extra money on their drive home from work every single day! Grocery delivery has become really popular, and is something a lot of people are using to save time and avoid trips to the grocery store. If you actually like grocery shopping, then this is a great opportunity to make a bit of extra money! 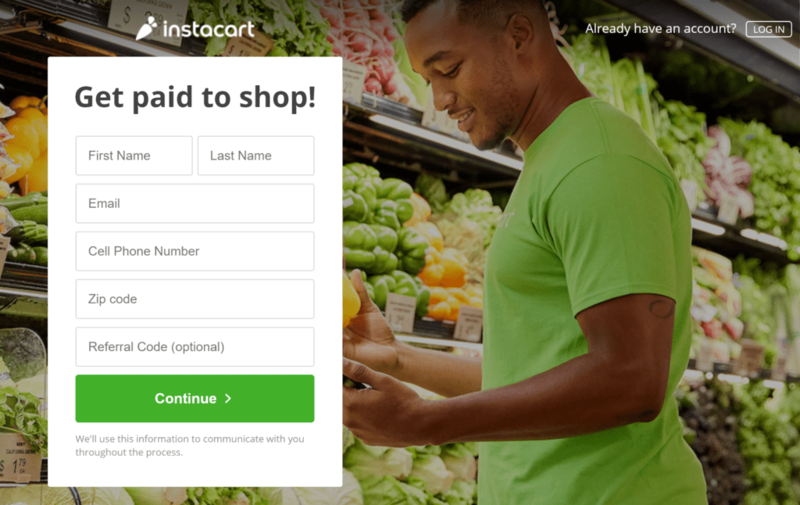 With Instacart, you’ll make money delivering groceries to people who want to outsource their grocery shopping. When you use Instacart to earn money, you’ll do someone’s grocery shopping, and then deliver them to their home. Payment is different for each trip depending on a number of factors, but you can earn in the neighborhood of $15 per hour. As you can see, there are so many ways to use money making apps to earn a little extra cash. And the great thing is, some of these apps allow you to earn money with activities you’re already doing, such as grocery shopping. And other apps, such as survey apps, allow you to earn money while you lay on the couch watching TV. 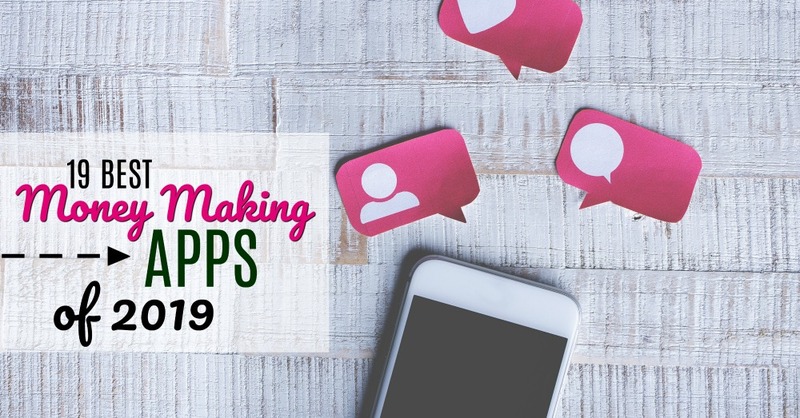 If you want to make some extra money but aren’t ready to commit to a side hustle, then download a few of the apps on this list and start making money! Erin is the ultimate side hustle guru, writing passionately about personal finance, productivity, and ways to make extra money for more than five years. 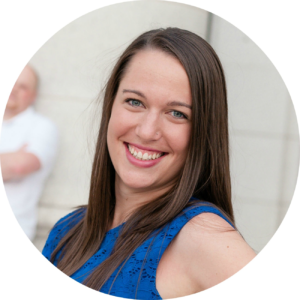 After graduating college with student loan debt and entering a low-paying career, Erin threw herself into learning everything she could about personal finance and making money on the side. On her own blog, she helps women to reach their goals by teaching them how to manage their time and their money.